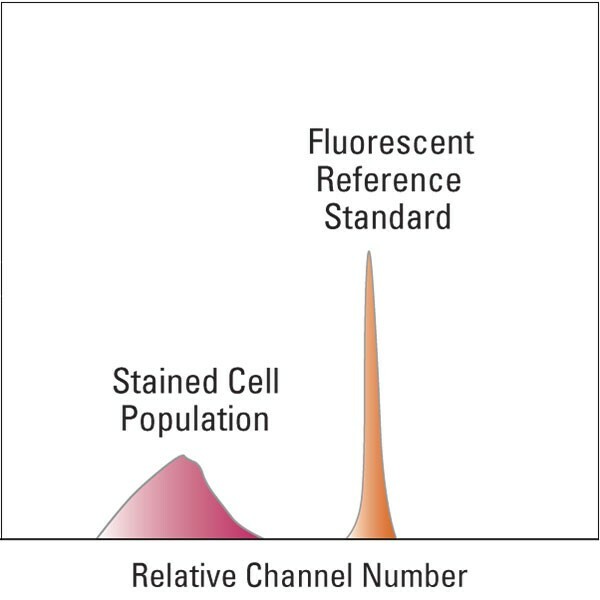 Alexa Fluor® 488 Reference Standard | Polysciences, Inc.
Single-color Fluorescence Reference Standards are labeled with specific fluorochromes to exhibit the same spectral characteristics as labeled cells. Their size approximates that of human lymphocytes (~7-9µm in diameter) and are available in a wide vareity of fluorescent dyes. Fluorescein is also available as a 2µm bead. These standards may be used to QC a specific path of the optical system (laser/filter/PMT), to optimize filter and mirror sets for fluorophores, and to establish a test-specific Target Channel Value for instrument set-up. For more Flow Cytometry Resources, visit the Bangs Flow Blog.